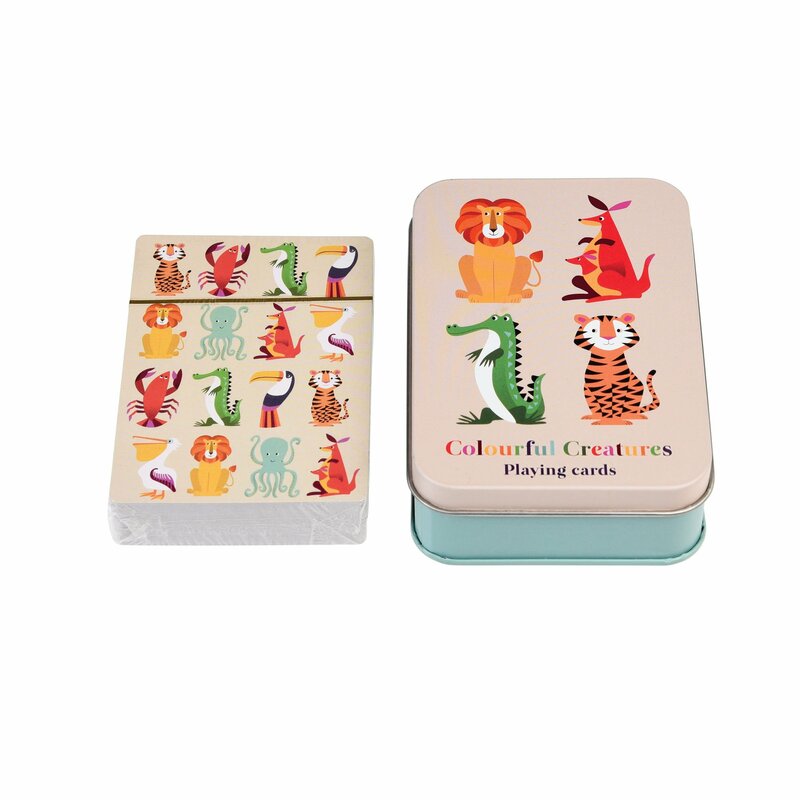 Make playtime wilder with these colourful creatures playing cards. Perfect for summer holidays, parties, these playing cards come in a tin so that you can keep the playing cards stored together. 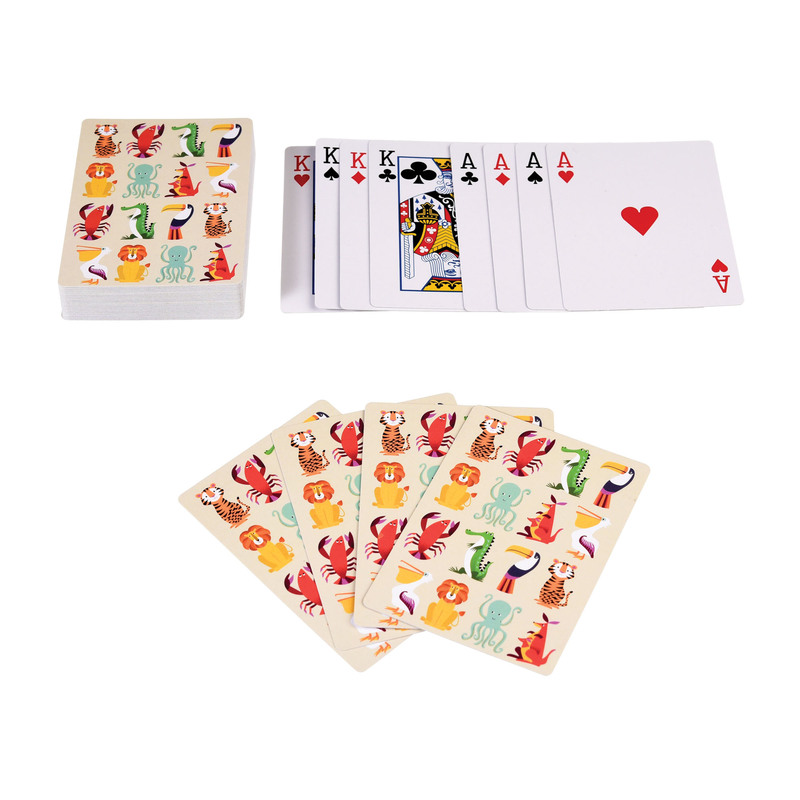 Decorated with bright colourful animals these playing cards are great for children.